Drew Karpyshyn, writer on Mass Effect 1/2 and KOTR returns to Bioware. 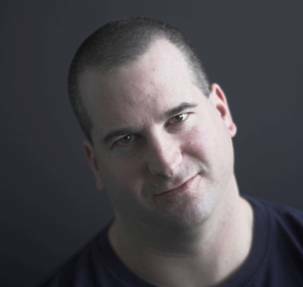 After finishing his book trilogy, Drew Karpyshyn has announced that he is returning to Bioware. The announcement, made on his website, spoke in detail about his decade run with Bioware before he took a break to finish his novels. Karpyshyn stated: "A few years ago I left BioWare to focus on my Chaos Born novels, but now that the trilogy is finished, I’ve decided to come back into the fold. Working at BioWare was a challenging but very rewarding job, and it’s good to be back as part of the team." Sadly we won't be seeing a new project from him just yet. He will be joining the Austin studio to start working on Star Wars: The Old Republic. Either way the return of a well beloved writer to Bioware is fantastic news and can only lead to great things on current and future projects.